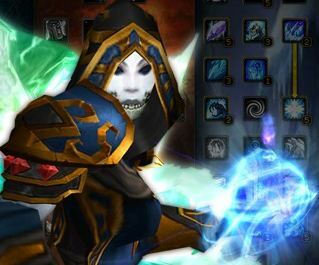 This page is intended as an overview of Mages in general. For specific info on specs, rotations, etc. see the links just below. Mage Leveling guide – Tips and builds to help your mage level even faster. Mages are the arbiters of Fire, Frost, and the Arcane. 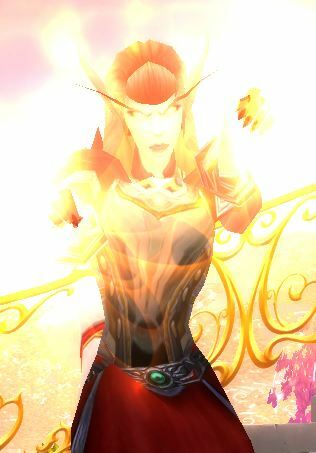 They are wielders of mystical energies beyond all natural comprehension, and sheep-happy, deep freezing, arcane blasting PvP maniacs if my battlegrounds experiences count for anything. But, above all, mages are clean and simple fun. See below for a summary of the Mage changes in Mists of Pandaria. Just a few changes are listed here. See Mage Changes in Warlords for the rest. Patch 6.2 made some small changes. See them here. Well, the most obvious change is ten more levels and a whole new row of talents. Conjure Mana Gem and Improved Counterspell are gone. The talents Temporal Shield, Incanter’s Ward, and Invocation are all dead and replaced. A number of abilities have been restricted, for example Deep Freeze is now available only to Frost Mages, as is Shatter. Alter Time and Mirror Image are now talents. Post level 90 you no longer get abilities, you get perks. These are enhancement to existing abilities and you’ll get four of them between 92 and 100. Hit, Expertise, Resilience, and Reforging are gone. Int no longer adds to Crit, but you have a base 5% chance to Crit now. You have two new stats, Versatility and Multistrike. How they stack up compared to the others remain to be seen. Multistrike gives you a chance at two more strike sat 30% power, while Versatility adds to both your offense and defense. Mists of Pandaria brings with it a totally new talent system. The old talents are all dead, long live the new talents. They’re pretty simple. And mage of any spec can pick any one talent from any of the six rows for six talents at 90. Warlords of Draenor adds another talent row and has pushed things around a bit. The level 75 and 100 rows both have different talents depending of your spec. A nice change from before Mists is that you can change your talents, one at a time, on the fly. You’ll need one does of Vanishing Powder, Dust of Disappearance, or Tome of the Clear Mind (depending on your level) to make the switch. Glyphs work the same way. Get the dust (etc.) from your reagents vendor or an Inscription Supplies vendor. See below the images for descriptions. Level 15 Evanesce – Fade away and avoid all attacks for 3 seconds. Replaces Ice Block. Blazing Speed: Activating this suppresses movement slowing effects and increases your movement speed for 1 sec. Ice Floes – Allows you to move while casting and channeling the next 2 Mage spells that have a base cast or channel time less than 4 sec. This spell may be cast while a cast time spell is in progress and is not on the global cooldown. Level 30 Alter Time – Alters the fabric of time, returning you to your current location and health when cast a second time, or after 10 sec. Flameglow absorbs some damage from all attacks. Ice Barrier – Instantly shields you, absorbing some damage and lasting for 1 min. While the shield holds, spellcasting will not be delayed by damage. Level 45 Ring of Frost – Summons a Ring of Frost at the target location. Enemies entering the ring will become frozen, which is nice for your shatter. Casting R of F right before your Ice Nova can be interesting. Ice Ward – Places an Ice Ward on a friendly target. When an enemy strikes the target, all nearby enemies within will become frozen in place for a few seconds. Frostjaw – Silences and freezes the target in place for a few seconds. Lasts half as long versus Player targets. Nice for setting up shatters. Level 60 Greater Invisibility – Instantly makes the caster invisible, reducing all threat, and removing two damage over time effects. While invisible, you are untargetable by enemies. Lasts 20 sec. Invisibility is cancelled if you perform any actions. Damage taken is grealty reduced while invisible and for 3 sec after coming out of invisibility. Cauterize – An attack which would otherwise kill you will instead bring you to 50% of your maximum health, and you will burn for 40% of your maximum health over the next 6 sec. Cold Snap – When activated, this spell finishes the cooldown of your Ice Block, Frost Nova, and Cone of Cold spells. Instantly restores 30% of your health. This spell is usable while stunned, frozen, incapacitated, feared or asleep, and is not on the global cooldown. Arcane: Nether Tempest – Damage to the target over 12 seconds, plus damage to all enemies within 12 yards. Fire: Living Bomb – fire damage over 12 seconds, exploding at the end. Frost: Frost Bomb on the target for 12 seconds. Your Ice Lances will cause a pulse that damages both the target and nearby enemies. It does not do any damage by itself. All: Unstable Magic – Your main bolts have a chance to explode on impact, damaging nearby enemies. This is a nice passive way to get extra damage. All of these have two charges, plus the main target takes 100% increased damage. Arcane: Supernova – a pulse of energy damages all enemies within 8 yards of the target, knocking them upward. Fire: Blastwave – an explosion damages the target and all nearby enemies, slowing their movement. Frost: Ice Nova – Icy winds around the target damage the target and all nearby enemies, briefly freezing them. Level 90 Mirror Image – this is the same as the original ability. You summon up three copies of you which then start blasting away. It has, however, been nicely buffed over the old version and is a nice burst cooldown. Rune of Power – Replaces Evocation. Places a Rune of Power on the ground for 1 min. While standing in your own Rune of Power, your mana regeneration is increased by 100% and your spell damage is increased by 15%. Only 2 Runes of Power can be placed at one time. Best used when you can stay relatively stationary in a long fight. Incanter’s Flow – You have a ten second cycle, five seconds to a peak of +20% damage, then 5 to drop to +4%, then repeat. The cycle continues until stopped. Best used when you need constant movement or in PvP. Arcane – Overpowered: Casting your Arcane Missiles extends your Arcane Power by 2 seconds. Fire – Kindling: Crits from Fireball, Pyroblast, and Inferno Blast reduce your Combustion cooldown by 1 second. Frost – Thermal Void: Casting Ice Lance extends your Icy Veins by 2 seconds. All specs: Prismatic Crystal – puts a crystal at the targeted location. Only you can attack it and it takes 130% damage from your attacks. Any time it takes damage it instantly releases that damage, splitting it evenly among all enemies within 8 yards. This makes your single target attacks into area attacks. It’s a very nice damage boost to single targets (+30%.) The crystal lasts about 10 seconds. Arcane gets“Arcane Orb: Your Arcane Orb travels up to 40 yards doing damage to everything it passes through and it generates an Arcane Charge every time it does damage. Fire gets Meteor: Drops a fraggin’ meteor!! Doing damage to an 8 yard area, also burning the ground doing continuous damage to all who remain in the fire. Frost gets Comet Storm: Comets! 7 icy comets bombard the target area, each damaging all enemies withing 4 yards of the impact point. These abilities are shared by all mages. 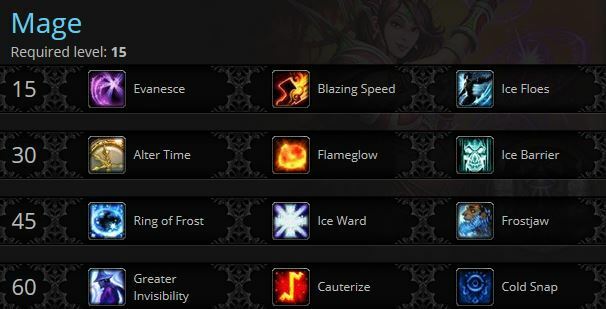 For Warlords some of the older talents and glyphs have been rolled into these abilities. Other Mage abilities, glyphs, and talents are dead. Also note that the levels at which some abilities are obtained has been changed. Each of these groups of spells are unique to the particular spec. Only Arcane Mages get Arcane Blast, for example. At level 10 you will pick one of the three specializations and you will be locked into that spec. With the Mists of Pandaria changes your abilities define what you are. The talents add flavor. Mage specs are divided into three primary elements, Arcane, Fire, and Frost, each possessing far more than simple visual difference. Create and spend arcane charges to build more power and to drive Arcane Barrage and Evocation And there was much burnination. Crit happy. Chance for free Pyroblasts. Lots of Dots. Chance for free spells, lots of freezing and slowing, more damage against frozen. ** These abilities are either brand new for Warlords or have been restricted to one spec. For example, “Shatter” is now Frost only.Perks: Unlike previous expansions you will gain no new abilities past level 90. What you will gain, instead, are Perks. These are enhancements of current abilities. For example, one of your perks might provide a reduced cooldown time to some ability. So you get a better ability instead of a new one. All of the Perks are passive, so will add no new buttons to your bars.Also, the perks are learned randomly. You will eventually get four perks, starting at 92, but they will be learned in random order. At level 95 you may well have a different pair of perks than that other level 95 Mage. At level 99 you will have them all. Improved Evocation – Cooldown reduced by 30 sec. Enhanced Pyrotechnics – Cumulative crit chance increase. Improved Flamestrike – removes cooldown. Improved Inferno Blast – Spreads damage to two more targets. Improved Scorch – Brief movement speed increase after casting Scorch. Enhanced Frostbolt – Small reduction in FB cast time. Improved Blizzard – Casting Blizzard reduces Frozen Orb cooldown. Improved Water Elemental – Your elemental learns a new spell. Arcane is seen by some as a raiding tree, largely due to the high mana constraints placed on raiding mages (from 5-10 minute long fights) as opposed to PvP, where high burst is favored over consistency. 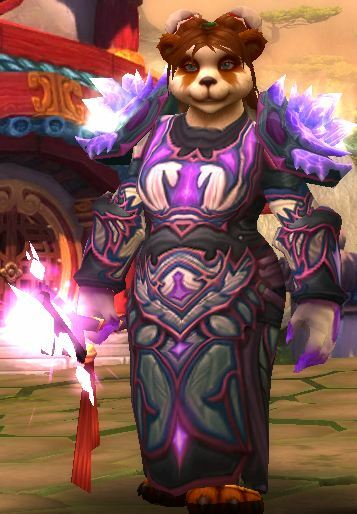 The squishiest of mages, Arcane PvP is challenging. Still, they can do a lot of damage and if you are part of a decent team, or really know what you’re doing, then PvP can be great fun. For more about the Arcane spec, see our Arcane DPS page, for raiding mages, or our Arcane PvP page for laying waste to other players. Leveling? Then see our Mage leveling guide or our recommended 1-100 leveling guide, here. Fire is the burst tree, boasting massive amounts of damage including more than a few incapacitation abilities/augmentation. This comes from Abilities such as Pyroblast (procs from crits,) and Dragon’s Breath, a frontal cone disorientation spell. With Mists of Pandaria Fire is a bit less “run and gun,” but not a lot less. Damage is fine and the new talents can add more survivability than before. In Warlords more abilities have moved around. The net effect should be little real change. Fire is the burst damage tree, massive damages, pyroblasts, etc. If you’re looking for anything from a good leveling build to raiding to battleground PvP, then fire is one of the easier choices. Most styles of play can be compensated for by picking up the generally viable talents in this tree, it’s all a matter of how you use them. By properly gearing yourself you can fit literally almost any situation as fire, it presents the range and damage efficiency required for raiding, the burst potential desperately needed in PvP, and with some good spell rotation becomes an extremely efficient grinding machine. Fire is quite viable in (mainly) battleground PvP though Frost is considered the PvP spec. Still, Fire is making a good show in the Arenas. The one catch with Fire is that it’s very crit dependent and crits are random. This is good when you’re lucky and frustrating when the procs don’t happen. If you carefully look over the Fire abilities you might note that there will be more Pyroblast procs than you might otherwise think from your crit rating. More Crit rating = more free pyroblasts and those pyroblasts hit harder, too. Going fire as your primary talent line-up while leveling is probably the best idea for those new to the mage class, it’s simple, easily learned, and configured for any setup, and eliminates quite a bit of the problems you can run into when trying the alternative leveling strategies inherent in the other talent builds. Start out with Pyroblast and, more often than not, you’ll never be touched. Especially when your crits proc the free shots. For more detailed info, including rotations and such, see our Fire DPS and Fire PvP guides. If you’re leveling your mage then see our Mage leveling guide or our recommended 1-100 leveling guide, here. Frost represents a combination of Fire and Arcane, less burst damage than fire and less sustained DPS than arcane, especially with shatter (which only Frost now gets) and a couple more increased critical damage talents. Additionally it has some of the mana regeneration of arcane, not completely as effective, but still enough to make it worthwhile. The survivability and crowd control aspect of Frost make it a favorite PvP and leveling spec. In Warlords Frost should be able to continue as the PvP spec, and also do very well at leveling and in raids. Frost is probably the best starting PvP build for an experimenting Mage due to how much more forgiving it can be. By possessing more than a few tools to increase your life-span you’ll find yourself in the possession of far more opportunities to, at the very least, live through a given fight, if not defeat the opponent outright. Frost is also an equally effective leveling build comparative to fire, instead of killing monsters before they can get to you, you kill them via a small amount of kiting if necessary augmented by the frost spell’s snare effects. Leveling as frost will be likely similar speeds to fire, if not slightly faster, depending on your degree of skill concerning frost’s primary calling card, snares and roots. Frost mages are all about mobility, survivability, and in many cases AoE grinding as opposed to fire’s strictly “one at a time” kill scheme. Frost deals maximum damage when the target is frozen, big secret right there, so obviously the more the target is frozen, the more criticals you throw out, the higher damage dealt overall, etc. Also see our Frost DPS and Frost PvP pages. If you’re leveling your mage then see our Mage leveling guide or our recommended 1-100 leveling guide, here. With the release of WoW 4.0 Frost became a superb PvP build for mages, combining crowd control, very good survivability, and major damage. The other specs have less of the first two, but they also do plenty of damage, making all three trees at least decent in battleground PvP. With Mists of Pandaria, well, things became a bit more interesting. The talent changes evened things out a lot. Arcane mage PvP build – Lots of damage, but squishy. Lots of damage, though. Fire mage PvP build – Better at “Run and Gun,” solid damage, decent survivability and some control. Frostmage PvP build – Still the “Go to” spec for Mage PvP, though Fire isn’t far off. In Warlords of Draenor your abilities have shifted around a bit, so Frost feels much the same, while Fire and Arcane lost the frostie aspects (eg: Shatter,) but gained some in their own feel. Frost is still the PvP kind, but the others can do Ok. All do decent to very nice damage in raids. With the 5.0.4 patch mana pools became essentially bottomless. A mage wouldn’t use 10% of their mana much less run out. This hasn’t changed in Warlords. You must focus on dealing as much damage as possible as early as possible to almost every class to be effective in PvP, plus be aware of all of your own escapes, shields, and CC abilities. And you must be able to fire them off as you need them, which out looking for them or forgetting them. Put your abilities into keybinds and learn them. Then, once you have that down, an intimate knowledge of the other classes is very desirable. But, there are exceptions to the rule – for Frost Mages especially you will find that there is a great deal more survivability in your spec because of the power of spells like Ice Block and Frost Nova. You can usually withstand almost double the damage as your counterparts – of course your burst damage potential is greatly diminished (barring flavor of the month effects,) but you have some interesting talents that make up for that. Be aware of what your opponents can do. If you’re not aware of what a Subtlety Rogue can do then he’ll catch you by surprise and you’ll be way down in HP, silenced, stunned, and mostly locked up. If you are aware then you can plan your counters. Unlike practice and trial and error, a good mage works with the expertise of past players to provide a complete outlook on the various methods you will use to effectively defeat any opponent in the game, even those such as the Warlock who are seemingly built to kill Mages. Above all, practice. Blast the target dummies in your downtime so that you have a handle on your routines. Include you interrupts, CC, escapes, and any other useful abilities you have. The more 2nd nature your spell-casting and escaping, the better off you’ll be. Check out Skill-Capped for more PvP Magery. In Mists of Pandaria the only real change to stats is that Int no longer adds to manapool and adds nothing to mana regen. In Warlords Int does not add to Crit chance, but you do start with a base 5% Crit. Hit, expertise, resilience, and reforging are all gone. You have two new stats: Multistrike and Versatility. You also have an Attuned stat. This is the stat that Bliz feels is “best” for your spec. Depending on exactly how you do things you may prefer something else, but the attuned stat is a good start and you’ll get +5% of it anyway. Intellect adds directly to your SpellPower and adds a small bonus to crit with your spells. With 5.0 Int no longer adds to Manapool, but it’s still your #1 stat. Stamina is more important for PvP than raiding or leveling, but you need enough to survive in any given situation. Stack it at low levels, at higher levels your gear will provide enough. Spell Power – you can never have enough, but it now only appears on some gear, such as trinkets and weapons. Crit rating – Crits do 200% total damage (150% in PvP.) Fire can’t get enough of it and it’s a decent stat for the others, as well. Note that Crit is also Fire’s Attuned stat. Direct Damage – some low level gear has +X fire/frost/arcane damage. While you will give up Stamina or Int, it is a nice add to your basic damage type. Haste speeds up everything you do. Your casting is faster, your “over time” spells burn faster, your mana returns faster, etc. It’s a nice stat for all mages. Mastery improves some aspect of what you do. Arcane loves it, Fire is Ok with it, and Frost would rather get rid of it. Multistrike gives you a chance to have any damaging spell you cast to also fire off one or two copies of that spell, at 30% strength. Multistrike’s proc chances work like this – you have, for example, 10% chance to Multistrike. This gives you, in PvE, two 10% chances. Your chance to hit twice is your % chance times itself: 10% x 10% = 1% chance to hit twice. At 30% MS you’d have 30% x 30% = 9% chance to hit twice. Your chance to not proc any Multistrikes is (100-MS%) x (100-MS%). So that 10% MS chance gives us 90% “no chance.” 90% x 90% = 81% chance not to get any Mulstitrikes. 81% chance to get none, +1% chance to get two = 82% total. That leaves an 18% chance to get one multistrike. Or… 18% for one + 1% for two = 19% chance for either one or two MS hits. At 30% you have 49% to hit none, 9% to hit twice (58% total,) so have (100-58) 42% chance to hit once. 42% + 9% = 51% to hit once or twice. In PvP you get one chance at a Multistrike so your PvP Multistrike value is roughly half the PvE value. From the examples above: 10% PvP Vs 19% PvE, or 30% PvP Vs 51% PvE. Spirit is useless for a mage. Agility is useless for a mage. Strength is useless for a mage. PvP power is for PvP only and increases damage (and healing) to players. It’s gone on Warlords gear, but exists on lower level gear. Resilience, as with PvP Power, only appear on gear that’s level 90 and lower. It reduces player damage done to you, so gear with that stat is desireable. With Reforging gone the only way to stack stats, and get rid of unwanted stats (Frost & Mastery, for example) is through gear choice, gems and enchants, and whatever buffs your team brings to the table. Can you afford those nice gems? If not, then go here, grab this guide, and start earning some serious gold. In Warlords of Draenor the Stats Squish is in. This means that gems have about 1/16th their Mists of Pandaria Value (160 Int down to 10 Int, 320 Crit down to 20.) The proportional values of the gems to the rest of your gear, also squished, will be very close to what it was before. There are no socket colors, all gems fit all sockets. No gems have Int. Sockets are actually pretty uncommon and are random. There are all very expensive. There is a “greater” version of each gem with 50 point value and a basic version, just “Critical Strike Taladite,” for example, that’s very cheap and has 35 points. Gem Note: Gem sockets are uncommon on Warlords gear and none of the vendor gear comes with sockets. All sockets will appear on gear that’s dropped, in a box, or otherwise won. Older Gems that used to add Hit now add Crit, those that had Expertise now add Haste. Generally you would match socket colors, especially if the bonus is Int or your “Attuned” stat. Fire might want to use orange Int/Crit games in Red sockets instead of straight Int gems. Your Mage bonus adds to any Int gem bonuses, making them worth 5% more Int. That bonus does not add to other stats. Note: the three legendary gems below (Courageous, Sinister, and Capacitive) do not proc their specials the Battlegrounds or arenas, so aren’t quite so nice for that form of PvP. Gems for gear under item level 600. Meta Courageous Primal Diamond: +20 Intellect and chance on beneficial spell to make your spells cost no mana for 4 sec. Tyrannical Primal Diamond: +42 PVP Power and +48 Resilience, requires 27k earned conquest points and iLevel 476, cost 1k conquest points. In Warlords the new enchants are only for neck, cloak, rings, and weapons. As with the gems they do not code for Int, only the secondary stats. All the new enchants can be added to lower level gear, even level 1 gear, and will scale down appropriately. Enchant Weapon – Mark of the Thunderlord – Chance for +500 Crit for 6 seconds, your crits might increase the duration. Enchant Weapon – Mark of Warsong – Sometimes increase Haste by a large amount, but it then diminishes by 10% every 2 seconds. Enchant Weapon – Mark of the Frostwolf – Sometimes increases your Multistrike by 500 for 6 seconds, this effect can stack twice. Enchant Weapon – Mark of Bleeding Hollow – Sometimes increases Mastery by 500 for 12 seconds. Various Mage Enchantments for older gear. Weapon Enchant Weapon – Jade Spirit: Sometimes increases Int by 83, might increase Spirit by 750 if mana is low. Enchant Weapon – Windsong: Sometimes increase Crit, Haste, or Mastery by 75 for 12 seconds. Enchant Weapon – Glorious Tyranny: 38 PvP Power, 50% Disarm reduction, cost is 1,000 Conquest points. Enchant Boots – Pandaren’s Step: +10 Mastery, slight run speed increase. Which Race Should Your Mage Pick? 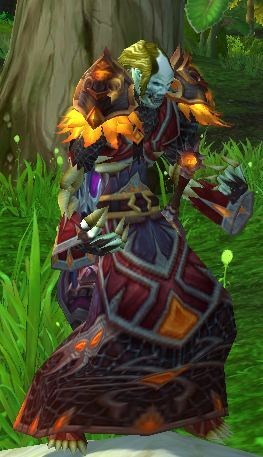 With Cataclysm, the only race that cannot be a mage is the Tauren. This is also true in Mists of Pandaria . Yes, that means that Pandarens can be mages. In Warlords any racial that provided Hit or Expertise has been removed. And Taurens still cannot be mages. Really, the best choice for race is to pick the one that fits your game. If you want to get every last bit of efficiency then some choices have advantages as mages. Orcs and Trolls are probably best for raiding, with Draenei being next. For PvP Orc (Enrage & Stun resist) or Human (escape & versatility,) though Gnomes & Undead have their uses. Skill counts for more a lot more than race, though, especially in Warlords. Play what you like. Is there Zen in Magery? Pandarens get to choose sides, once they leave the starting area, whether they will join Horde or Alliance. Can stun enemies with a quick strike of their hand. Might have situational use for a Mage, allowing an escape from melee range. Rested (as from an Inn) XP lasts longer for faster leveling. “Bouncy,” so take less falling damage, just in case you don’t cast Slow Fall. For the Alliance, the Draenei may be best for Raiding (with their +1% to hit chance,) while Humans and Gnomes are best for PvP. Good for PvP with their Escape ability. Also allows the use of two DPS trinkets. This ability will have occasional use in PvE and leveling, as well. Diplomacy is nice if you are going to be gaining faction at any point and since so much past level 60 is a faction grind… Mists of Pandaria and Warlords introduced even more factions. The Human Spirit provides added Versatility, which ain’t bad at all. As is true for Humans, Gnomes have an Escape Artist skill and their small size is not to be scoffed at. It makes them a bit harder to see in the heat of a (PvP) fight and a bit harder on people who click their targets. Gnomes have an increased mana pool, which is certainly of interest to any caster. Engineering skill doesn’t help casting, but that skill can make some nice gadgets which will help. A minor heal is always handy for a class that has no heals. Also usable on others. A small,. but welcome, bonus to your Int. Being a bit harder to hit is also occasionally use while leveling or in PvP. Again, not much use in raiding. Stone form is nice in PvP and of occasional use elsewhere. It also reduces damage by 10%, which is of some benefit in those “Oh Rats!” situations. Can periodically move quickly, which is a generally nice ability. Crit chance increased, which is nice, especially for Fire. Will of the Forsaken is a nice PvP ability, but much more situational outside of PvP. Cannibalize is useful every now and then, especially if you need to heal while in combat or “rub it in” to some player you just killed. Touch of the Grave is a passive ability that drains life and heals. It will add a bit to your damage numbers. Indefinite Underwater Breathing will find use here and there. Berserking increases casting speed by 20% for a few seconds. Very nice, drop it into a macro. Beast Slaying is nice for leveling since it adds 25% XP to your beast kills. Voodoo shuffle is a help in PvP, but situational elsewhere. An increase to Enchanting skill is of no direct use, but ‘chanters get some self-only ‘chants which are nice. Arcane Torrent is of little use, since it doesn’t return much mana and the opponent has to be close to you for the silence to work and casters will rarely be that close (though DKs might be…) On the other hand, if you’re bouncing in to drop a Frost Nova then an AT might not be a bad thing to throw in along with it. Blood Fury adds to spell power as well as attack power. Put it in a macro. No useful mage specific abilities, though the increased resistance to stun does have some general use. Increased Haste is generally useful. Vendor discounts are always nice, esp. if you’re always broke. Your spells are far more damaging than the rocket launcher. Rocket leap is a useful escape ability, like an extra Blink. An increase to Alchemy skill. Bovine discrimination? Racism? General Tauren policy? No mages here. Giant, war-stomping, furry Tauren things can’t be mages at this time. Multiple sets of cloth armor are better than instance gear of the same level and more accessible even for a brand new 60, 70. or 85. All it takes is a high, if not maxed out, tailoring skill by the time you reach the appropriate level. Since tailoring doesn’t possess any specific synergies tradeskill wise, you can always grab mining or some other gathering profession to aid funding your primary crafting abilities. Enchanting will let you disenchant tailored items that you don’t want to try and sell or otherwise dispose of. You can then use or sell the Enchanting mats. Keep in mind that all the crafting skills are very expensive to level up. If you’re going to work on the expensive tailoring or brutally expensive Enchanting then you will need to have a pretty solid gold stash. If you don’t have that, then you may have to skip them, but drop Enchanting first. Another option is to spend some time farming appropriate materials. Note that in Warlords of Draenor all the profession bonuses are dead. Not more +Int cloak enchant for you tailors. Alchemy will keep you in mana and healing potions, as well as all sorts of other potions, elixers, etc. Alchemists can also create a pretty nice trinket which provides additional healing and mana from effects which restore those. Inscription has several “off-hand” items that are very nice, as well as staves and the high-end shoulder inscriptions, not to mention glyphs and fortune cards. Jewelcrafting is nive for making gems, jewelry, and shiney things, including gemmed panther mounts. Blacksmithing – Nothing much here for you. Engineering – Engineering enchants do not overwrite the Enchanting enchants. Engie gadgets suffer from the occasional “interesting” side-effects. Keep this in mind if you go with this skill. Nitro Boosts are applied to your belt. Lightweight head armor with special engineering sockets. You can choose from different tinker’s gears, each granting 38 pts of some secondary stat, such as Crit. Enchanting – you can make all those enchants, plus enchants for rings and neck items in Warlords. Leatherworking – Nothing here for mages. Move along. First Aid is essential, keep it maxed at all times. Cooking is very useful with all the healing and buffing foods it provides. Herbalism, Mining, and skinning are good skills to have for gold creation or to feed one of the above crafts. Once you have the right build in mind for your Mage your next step is to get a full blown Mage leveling guide for the most effective (fastest) leveling. Why? With thousands of quests and a million mobs to grind the trip to the highest levels can take awhile. A long while. An in-game leveling guide makes the whole trek a whole lot easier. Pick your starting point and the guide will show you where to go, what to do, and keep track of your objectives (such as Kill X of…). 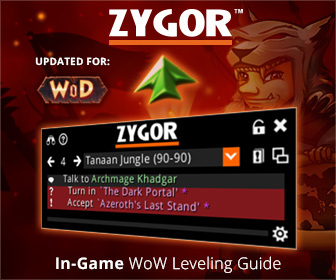 Zygor’s Guide automatically updates and advances as you complete tasks and quests, sets a waypoint arrow automatically (always showing you where to go next,) and includes all the important quest info. Zygor does this even if you’ve gained levels in the dungeons or PvP Battlegrounds. Leave off the questing to gain a few levels elsewhere, then come back and Zygor will figure out where you are and show you the best place to go next, automatically. Whether you’re brand new to WoW, covered from head to toe in Heirlooms, or just boosted to 90, Zygor will show you the way to get leveled as fast as possible. Zygor’s always fully updated for the latest patches of every expansion, including Warlords of Draenor. You will probably never need to look at your quest log again, much less browse some website. Grab your copy here and get leveled fast. Like this page? How about recommending it and/or commenting? Patch 6.2 changes – and some updates to those Warlords changes. Arcrane Mage DPS (PvE) and the Arcane Mage PvP page. Fire Mage PvP (yes, they can) and the Fire Mage DPS (PvE) page. Mage posts – All of our blog posts for Mages. Zygor’s Leveling and Loremaster guides.